For specialty pharmacies and hospital systems looking to digitize and streamline their operations, it’s extremely important for different systems to be able to connect and communicate with one another. Without this capability, users might find themselves wasting critical time and increasing likelihood of data inconsistency by manually inputting information from one system to another. To ensure that specialty pharmacy providers are reaping the most benefits from their daily operations, TherigySTM™ has integrated with most of the industry’s most ubiquitous dispensing systems . This way, providers can be certain that information exchange occurs automatically, without the risk of fragmented or incomplete data. An integration contains one to many interfaces that facilitates passing of data between two separate applications. With Which Systems does TherigySTM Integrate? One might describe an interface as the “language” used to link TherigySTM to various dispensing systems. This language is built on application programming interfaces, more widely known as APIs. APIs are essentially sets of rules that govern how the two systems or programs communicate with each other. APIs can facilitate a diverse range of functionalities between two systems. For example, an API can allow one system to add, update, and delete data from another. It can also allow one system to run utilities or perform tasks within another. Therigy’s interfaces allow specialty pharmacy data to be pushed and pulled from dispensing systems and TherigySTM, which ultimately eliminates the need for users to duplicate their work between the two. This helps to reduce the time and redundancy of a traditional setup that lacks interface capabilities. Therigy’s latest API utilizes a bidirectional, asynchronous architecture. This provides for each application to trigger updates into other system for real-time data exchanges. Both TherigySTM and the corresponding integrated application can trigger such an update on its own, better ensuring syncing of data. Interfaces allow for certain fields of information to be pushed and pulled between platforms. 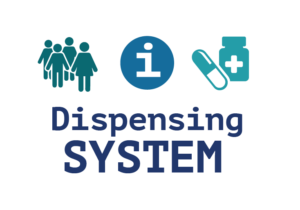 A dispensing system can push patient demographics, medications, therapeutic categories, and other key information into TherigySTM. For example, when a new patient is enrolled into a dispensing system, the interface will allow the information to become readily accessible in near real-time within TherigySTM. As the patient moves through the care process, the interface allows users to see which activities are pending and completed without having to navigate back-and-forth between the two platforms. What if My Dispensing System Isn’t Supported? While an interface streamlines operational efficiencies, it’s not the only way TherigySTM works to simplify the information exchange between a specialty pharmacy provider and its dispensing system software. TherigySTM is equipped with batch uploading functionality, which allows specialty pharmacy providers to input dispensing system patient and physician information quickly and easily. Each of TherigySTM’s dispensing system interfaces has varying capabilities and functionalities designed to save time, enhance accuracies, and reduce duplicate entries. If you’d like to learn more about how TherigySTM interfaces with your pharmacy’s dispensing system, and what this might mean for the future of your specialty pharmacy or hospital system, contact us today to speak with an expert. Get the most out of your TherigySTM experience. Tap into Therigy's online educational resources and collaborative tools for a personalized on-demand learning experience. Contect-based feedback enables you to latch onto every detail.